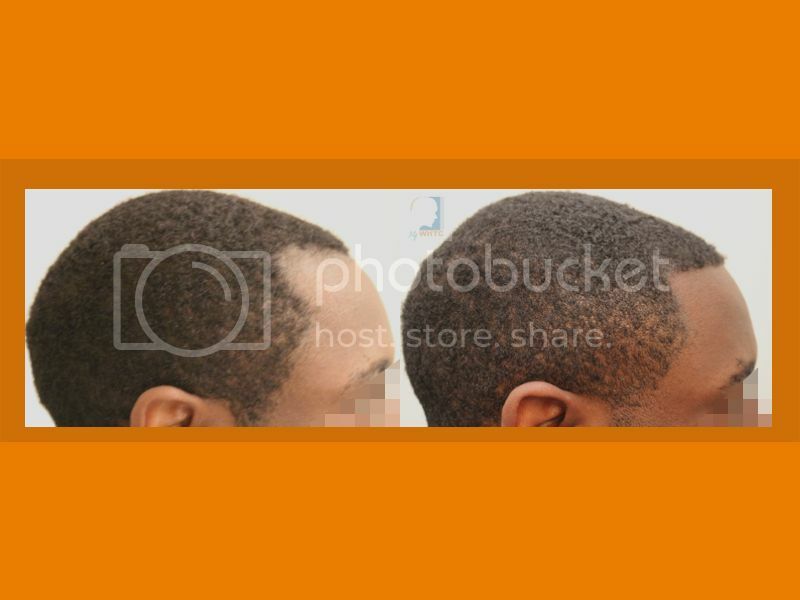 This young patient came to MyWHTC clinic in Belgium to treat the temple regions and hairline. The patient has coarse, curly black hair with dark skin. Due to the curvature of very curly hair, the extraction process was accomplished with expert precision. Dr. Patrick Mwamba successfully treated this Norwood II patient by transplanting 1,060 FUE by FIT grafts. 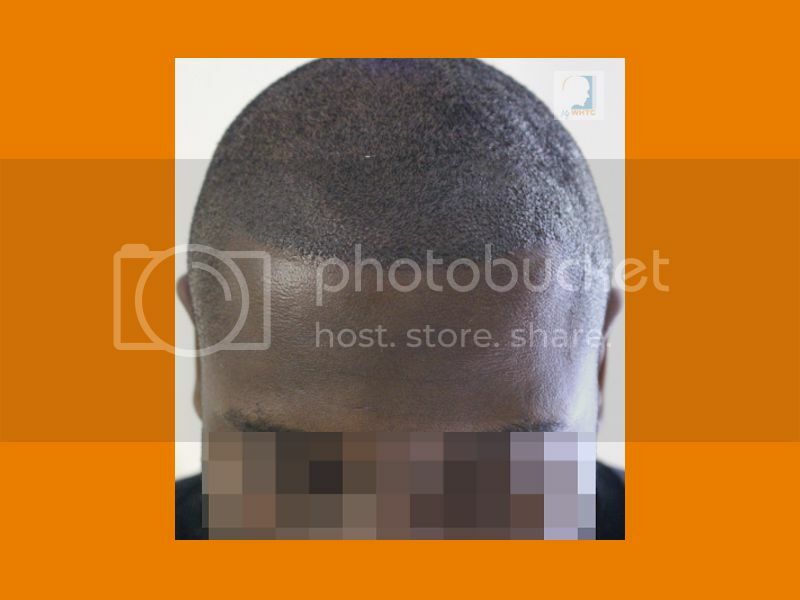 With follicular isolation technique (FIT), there is no linear donor scarring, and single follicular unit hair grafts are removed from the donor area. 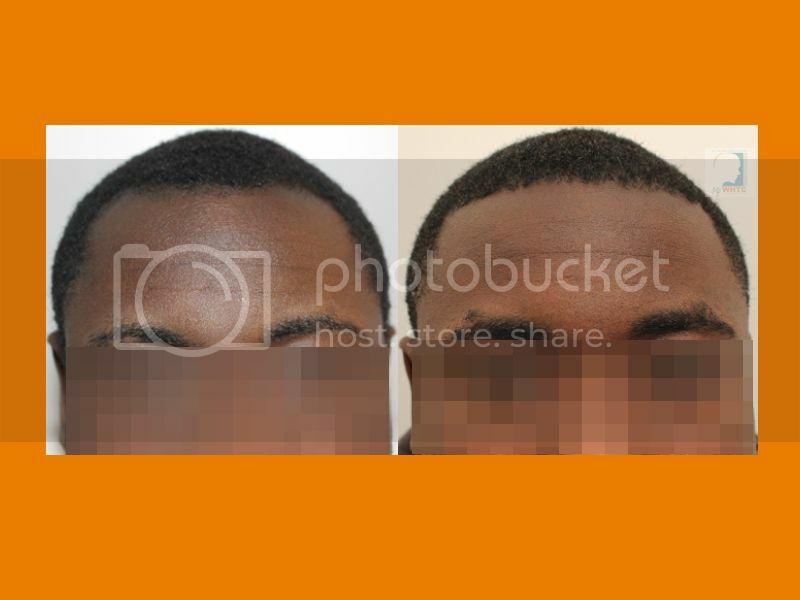 Below are seven-month results photos followed by an immediate post-op photo showing graft placement. 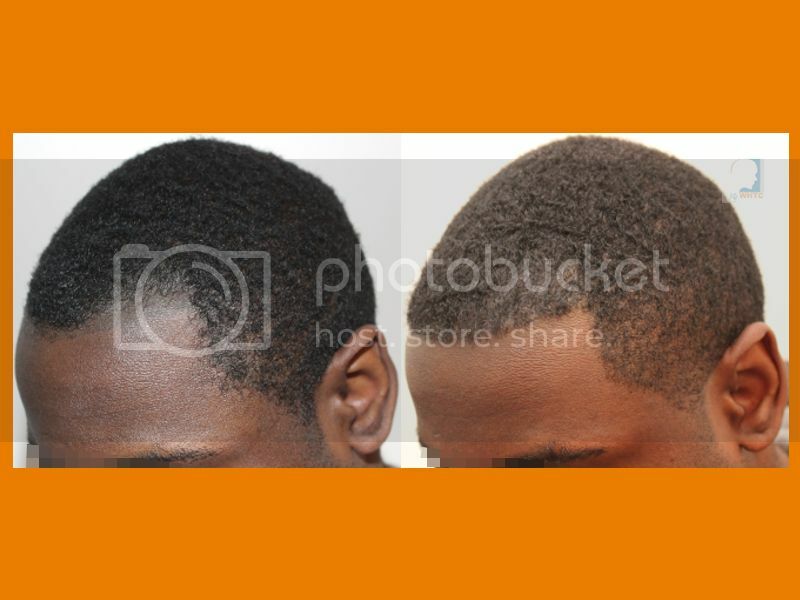 Patients with very curly hair have come to MY WHTC in Belgium to seek FUE by FIT, a non-strip method. 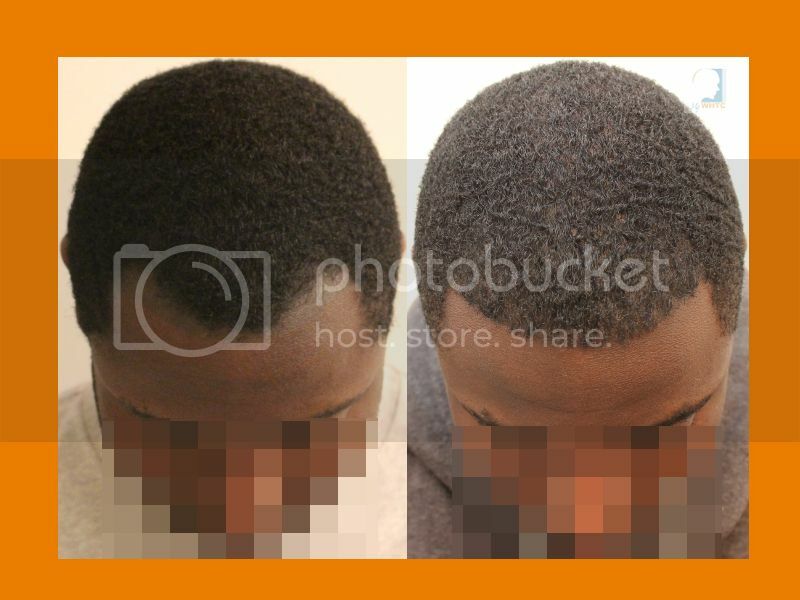 Black hair is complicated for many top FUE clinics because the curl extends far below the surface of the scalp.